Graphics - the way we did it before computers. Throw back Thursday to a brochure for a local company - pleased to say is still in business today. For this #TBT we've dug into our files and found a brochure designed oh - about 30 years ago for a local Niagara company. We are pleased to say, this company still thrives today. Anyway, think about it -- pre-computers what did we do for artwork? We drew it! If you were to walk into any graphic design agency, you would see drafting tables, protractors, technical pens, pantone markers, stacks of artboard, tape, rulers, clear film for overlays, and the list goes on. 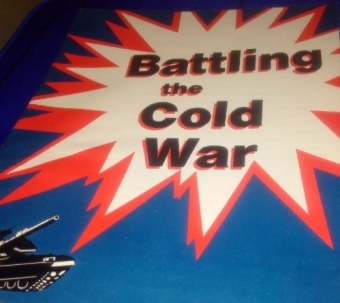 For designers out there -- do you remember having a room just for the giant clipart books? The process was painstakingly different than how we design today. Now we go to our desk, turn on our computer and create. Yes, we still draw and yes, the process is relatively the same - but in a much smaller workspace. So in this piece for Timbro: The finished project was a 3 colour print, 2 sides. (with print technology today, it is rare a print job would be specified as 3 colours - it would be 4 colour process). Anyway, the artwork for this would have required an artboard for the overall project (usually the black ink portion) and an overlay for each of the colours. All painstakingly aligned. It was then left to the film house for trapping when colours touched to ensure no gaps.